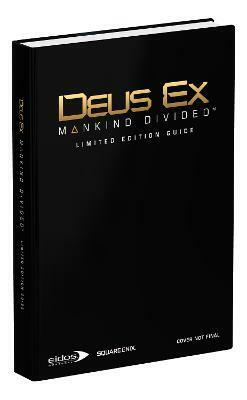 The Deus Ex: Mankind Divided guide gives you everything they need to make your way through this harshly divided world. The year is 2029. Augmeneted humans have now been deemed outcasts, living a completely segregated life from the rest of society. Play as Adam Jensen, an experienced covert operative forced to function in a world that has grown to despise his kind. Jensen must figure out whom to trust in order to unravel a vast, worldwide conspiracy. Premium hardcover guide includes an exclusive lithograph that features some of the game's most spectacular art. Suitable for framing! 100% walkthrough of the entire game. Detailed agent training teaches you how to choose from an array of cutting edge weapons and augmentations to best suit your playstyle. Comprehensive maps reveal all the important locations, objectives, and missions.